ITAR Regulations and Firearm Coverage: An Impossible Match? The Administration has long been at odds with ITAR (or the International Traffic in Arms Regulations), the legislation that allows the Arms Export Control Act to be implemented. In fact, President Obama has repeatedly announced that firearm coverage and the issue of gun control will always represent a topic that he will discuss and politicize. Such is the President’s resolution to restrict the citizens’ right to acquire firearms that he has proposed changes to ITAR Regulations. These changes would even interfere with the way that content relating to firearms and ammunition could be distributed and published on the internet and in print publications. The aforementioned changes would affect any item that is listed under the USML (United States Munitions list) as a “defense article”. So, before we go into detailed explanations of all these legislative initiatives, let’s first ask the basic questions: what is ITAR and how is ITAR compliance achieved? These regulations were created to control the import and export of “defense articles” as they appear listed in the USML and enforce the provisions of the AECA (Arms Export Control Act). As expected, the USML changes over time. 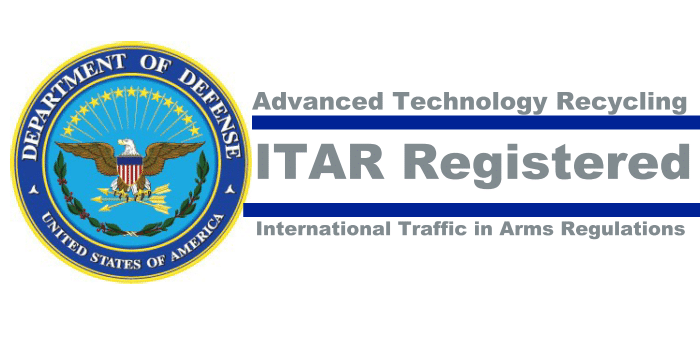 As such, ITAR regulations mandate that any information and material describing or pertaining to military and defense technologies can only be shared with US Persons and foreign persons who have previously received a special exemption from the Department of State. Basically ITAR exists for the purpose of preventing the disclosure or the transfer of sensitive information to foreign nationals. However, ITAR regulations still do not apply to the following: information that relates to scientific, engineering and mathematical principles pertaining to firearms and firearm construction, information that is in the public domain, general marketing information and basic system descriptions. Currently, the US Government is urging exporters to implement compliance programs that would help implement effective observance of ITAR. At the same time, other countries are encouraged to implement export compliance programs so as to address ITAR requirements. President Obama’s “Unified Agenda” has been in the spotlight these past few months after news got out that the State Department had been quietly negotiating a proposal aiming to censor firearm-related online speech. Back in April, Cody Wilson from Defense Distributed filed a lawsuit against the State Department. The subject matter: 3d print guns. The government had requested that Wilson immediately remove the files he had made public about Liberator 3D printable guns. This happened 2 years ago. But Wilson claimed that his First, Second and Fifth Amendment rights had been violated. While there isn’t a consensus as to Wilson’s odds success, one thing is clear. The Administration is moving forward and has issued a notice, which clearly states that they desire to amend ITAR Regulations. This initiative is part of the President’s Export Control Reform. Even the NRA ILA has expressed opposition to this initiative, as such a move could effectively censor online speech pertaining to firearms and ammunition. Until now, ITAR Regulations have never limited or constrained the public availability of information or materials on the internet. However, some voices within the State Department believe that such information is effectively “exported” simply by being posted. This would, they claim, make such materials be under the purview of ITAR. Since ITAR Regulations address technical data and “defense articles”, its provisions also extend to (but are not limited to) “detailed designs, production, development or manufacturing information” about firearms and ammunition. This would refer to anything from blueprints, drawings, plans, instructions, documentation, photographs and even artist’s renditions. “The proposal would institute a massive new prior restraint on free speech. This is because all such releases would require the ‘authorization’ of the government before they occurred,” the NRA states in relation to the initiative. But while some lawmakers are focusing on legislation will only burden law-abiding Americans who own firearms, other are taking a different approach. Senate Majority Whip John Cornyn, for instance, believes that the public opinion has hastened into blaming firearms for American violence that often results in death. In his effort to combat gun violence, Cornyn has unveiled his most recent legislative initiative: the Mental Health and Safe Communities Act. He argues that all nations (including the United States) face a wide range of issues, including anger, violence, and mental illness problems. The only reason why the US is so unique when it comes to “mass shootings” and “gun violence” is the fact that American violence often involves firearms, despite the fact that its overall levels of violence are on a par with those posted by other nations of the world. Cornyn’s bill would significantly influence gun purchases by clarifying the types of mental health records that must be forwarded to the National Instant Criminal Background Check System. Also, this legislation would provide further encouragement, so that states are mandated to send additional information to the database. Or course, the question is whether Cornyn’s legislation shouldn’t also expand background checks. Sen. Chuck Schumer offers a much stricter solution: during a conference in New York, he unveiled his proposal meant to prevent abusers, violent criminals and those suffering from mental illnesses from obtaining firearms. Together with Senate Democrats Chris Murphy and Richard Blumenthal, Schumer called on large retailers to close the loophole in federal background-check laws that govern firearm acquisitions. They asked that such retailers insist on the completion of the background check even if certain provisions in federal law allows firearm transactions to go through without the check having been completed within the three days that follow an attempted purchase. It’s that loophole, authorities claim, that allowed people like Dylann Roof to obtain a gun. President Obama hopes that the US will soon be able to draw inspiration from Great Britain and Australia, countries “like ours”, which have been able to institute laws that “almost eliminate mass shootings”. Though claiming otherwise, the President is tacitly supporting the end of private firearm ownership for self-defense. That’s because neither Australia nor Great Britain offer the constitutional right to bear arms. The question is whether Americans will stand for such initiatives. Hey Buddy!, I found this information for you: "ITAR Regulations and Firearm Coverage: An Impossible Match?". Here is the website link: https://thegunrights.com/itar-regulations-and-firearm-coverage/. Thank you.